Home / Weight Loss / Techorexia: Top 5 Alerts to Prevent It! Techorexia: Top 5 Alerts to Prevent It! Every human scientific creation is invented to facilitate living but an overdose of any gadget can prove harmful in the long run. So Better Stay Informed. While it is true that self-tracking can help push people into making positive lifestyles changes, it could also be argued that the growing popularity of this sort of technology is adding on to neurotic behavior. The health benefits of wearable fitness trackers have been well-documented. Experts explain that such gadgets motivate users to remain physically active. But users should remain equally aware of the drawbacks of relying on them too much, they warn. 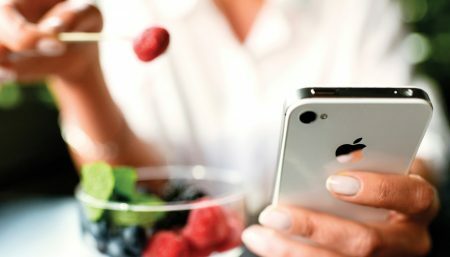 Dr Kimberly Dennis, a psychiatrist who specializes in eating disorder treatment, estimates that about 75% of her young-adult patients use their phones in a way that enables their eating disorders. Apps that facilitate calorie-counting and food-logging are an anorexic’s best friend and worst enemy. With society increasingly embracing a sort of “techorexia” that rewrites compulsive behavior as healthy, it is becoming easier for people with serious eating disorders to pretend there’s nothing wrong. In our growing obsession with counting everything and anything, it is possible that we are losing track of what really counts. 1. Stop seeing food as a spreadsheet of numbers and start thinking about it as nutrition. 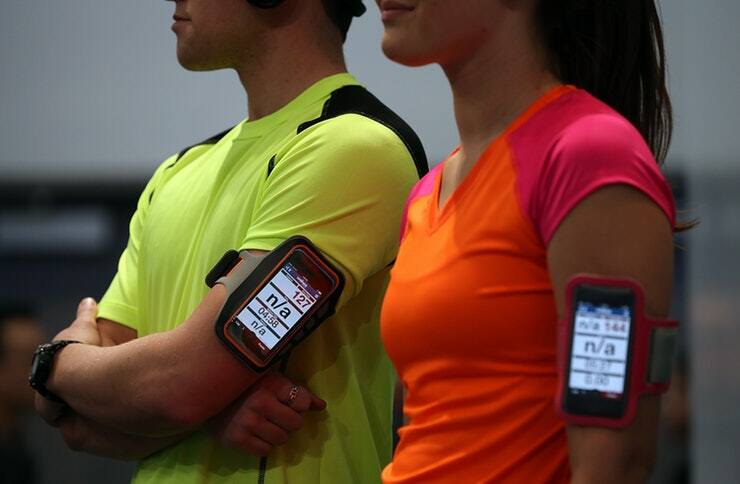 Wearables are data monitoring devices. So while they will tell you how many calories to burn, how to go about doing so can only come from a health expert.These apps don’t take note of physical ailments like heart-related issues, pregnancy etc. The impact, thus, can be disastrous. 2. Lack of Proper App Interpretation: There lies a great difference between moving foot steps and being physically active. For e.g. Moving 10,000 steps while doing daily chores like walking inside the house. This can become misleading when users of such wearables remain satisfied with the fact that they have taken those 10,000 steps and as a result, don’t work out. A certain number of those steps must come from continuous cardiovascular activity like, for instance, walking, jogging, cycling for a duration of 15-20 min. Talking of calorie consumed, If you enter the number of calories you have consumed in an app and then link it to your wearable, the latter will help you calculate the number of calories you have burnt. But some apps have feeded food items and its calorie count for specific foods based on the developers’ understanding, which might vary in composition from yours. 3. Health is a more diverse than just maintaining a certain level of “energy-in, energy-out,” and trackers cannot recognize that. Elements like mood tracking, mindfulness, sleep patterns, stress and other, less numerical aspects of health might not be trackable. These elements are just as important and need to be kept in mind for all round fitness. 4. One neglected aspect in these apps is the factor that the body requires rest or stands the risk of severe injury. Apps need to suggest a rest day, or raise a warning to a fellow exerciser, or activate a support system. 5. Its your Body, not a Machine: Activity trackers, with their numeration of achievement, are easy ways to draw the focus away from your body and onto “leveling up” and achieving “high scores” on your device. This is helpful for some, but dangerous for people with eating disorders, who often suffer from severe dissociation from their own bodies and experiences. “Techorexiacs” often feel “blind” without their gadgets, which is not a good sign. While using an diet & fitness gadget make sure it refines your workout and not define it. Weight Loss What To Look For In A Fitness App?